As a Latina, I can tell you that it’s rare to find products in the beauty aisle that I feel were made just for me, let alone ones that have Spanish-language names emblazoned across the packaging. So when Mexican-American singer Becky G announced that she had a new collaboration coming out with ColourPop titled Salvaje, I — and her 14 million Instagram fans — got excited. This year, diversity has been at the forefront of the beauty conversation, with both influencers and customers holding brands accountable for a lack of representation. And as a result of all this talk, brands are making an effort to tap into different communities and find new faces to collaborate with. 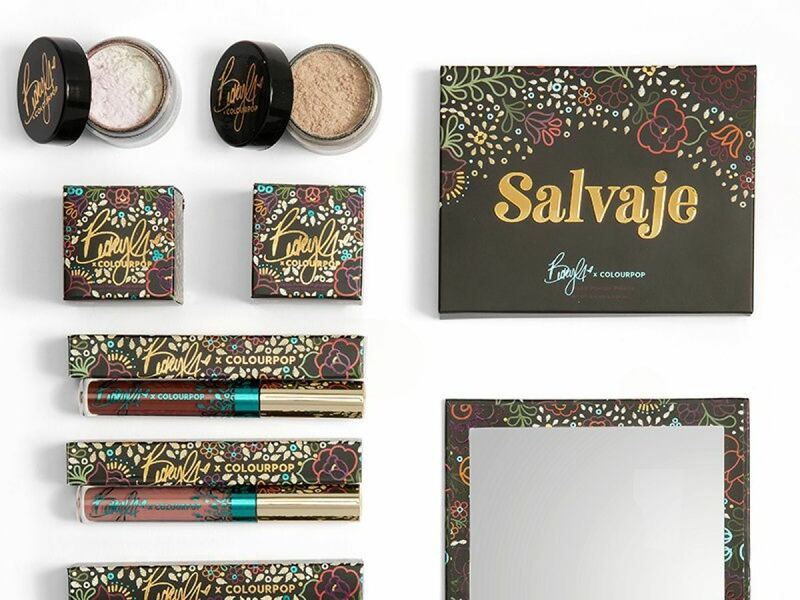 This Becky G x ColourPop release is coming at the tail end of a year filled with Latinx-forward makeup collections. This summer, Camila Cabello had a Havana-inspired line with L’Oréal — an ode to her home country Cuba — and in September, blogger Camila Coelho’s lipstick collection with Lancôme paid homage to her Brazilian roots. Big name brands are finally taking notice of an audience that other retailers might consider niche, but their doing it the right way: with help from Latinas who put their culture first. The collection includes five lip products with matte and satin finishes, an eyeshadow palette, and two highlighters. The lip shades vary in browns, reds, and nudes, and the eyeshadow palette has a mix of colors (both matte and metallic) that includes a peacock blue and a burnt tangerine. As for the highlighters, both are gold, but one is more champagne ( Chisme) while the other ( Princesa) is more of a pale pink. And every single product was named in Spanish. Becky G says that there were no “ifs or buts” when it came to bringing forward her culture in this release, and ColourPop supported her 100% on her decisions. And with her collection making its way into makeup bags around the country, the singer hopes to see other makeup brands work alongside influencers with different types of talent and backgrounds. “You can’t connect to the people without being a true reflection of the people,” she tells us. “I admire brands that take the time to educate themselves in areas they could be better in as far as making it inclusive for all.” We hear you Becky, or better said, te oímos. The Salvaje collection from Colourpop Cosmetics x Becky G is available now at colourpop.com. Products can be bought as a bundle or purchased separately.